I just filled up my truck with art supplies from my studio. I hauled it in and then I posted on Facebook. If you want to come make art, come make art. 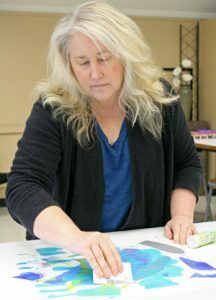 Susan Rochester is an Associate Professor of Art, Gallery Curator, and Chair of Fine and Performing Arts at Umpqua Community College. She is currently working on a mural at UCC to commemorate the victims of October 1. You could see unity within the community. We were all right next to each other. You saw people waving American flags. You’re walking up to complete strangers and just telling them, “Thank you for being here.” People are given each other hugs. You could see people crying all over the place. It was really emotional. Born and raised in Douglas County, Garrett Stembridge is the sales manager for Douglas Fast Net. 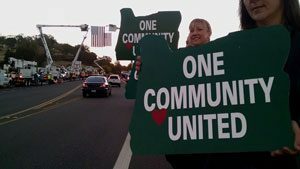 Garrett helped organize the vehicles, signs, flags, and community members who lined the street to welcome students and staff returning to UCC following the tragedy. The phones were ringing constantly. That’s when angels descended. Dispatchers came from other counties, they took days off, they came from other departments in the building to help answer phones. Andrea Zielinski is the Community Outreach Coordinator for the Douglas County Sheriff's Office. 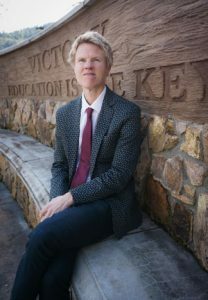 The following live recording was made on October 8, 2016 at Umpqua Community College. Brittany Robbins is a fourteen year old student at Roseburg High School. Her mother was a student at Umpqua Community College at the time of the shooting. Brittany organized a carwash that raised over $300 for the families most affected by the tragedy. To honor Quinn I need to honor the decision that he made to go get an education. Making a decision to go to school was the right thing for Quinn to do. No mother should ever feel badly about sending their child off for an education. What happened wasn’t because of getting an education or learning. 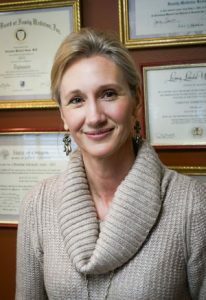 Dr. Christine Seals is a family physician in Roseburg affiliated with Mercy Medical Center. What Can I Do, How Can I Help? The wonderful thing that stood out to me in regards to our community was that people who could offer food, could offer candles, could offer whatever, brought what they had. Without any organization, the vigil just started to just come together. 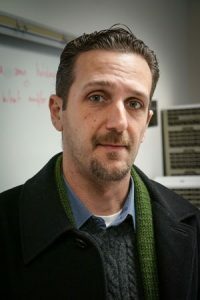 Dustin Cosby is a photographer and Assistant Professor of Communications at Umpqua Community College. Dustin helped coordinate the vigil held at Steward Park on the night of the tragedy. Dustin also put together an exhibit at UCC called “Moving Forward” that included photos of UCC students and staff in postures that expressed their healing process. We worked twelve hour days and weekends most of October. We started at eight in the morning and finished around five or six, and then spent two hours over dinner planning for the next day. 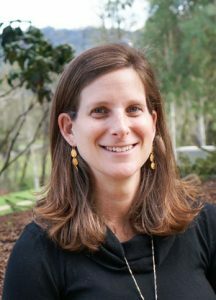 Amy Baker is a specialist in outreach to youth in crisis. Amy helped coordinate mental health services at Umpqua Community College in months following tragedy. Everything just went very quiet, all the sounds were not the same as restaurant sounds anymore. It was really awkward to be doing food service. It just didn’t feel like a real important thing to be doing, but by late afternoon people were coming in. They just needed somewhere to be. 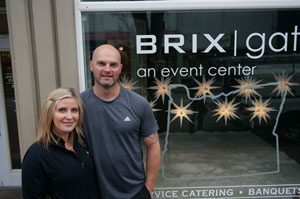 Misty and Mark Russell are the owners of Brix Grill in Roseburg. How Do We Use This as an Opportunity to Be Better? In the midst of so much awful stuff and trauma and so much sadness. We have also seen the most incredible displays of humanity, of love, of generosity, of people coming together…alongside the very worst. How do we draw on that goodness? How do we use this as an opportunity to say we are and can be better? 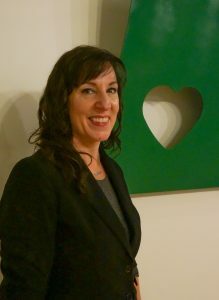 Meredith Bliss chaired the Community Healing And Response Team (C.H.A.R.T.) that coordinated a variety of community resources and services to help assist people across Douglas County heal following the UCC tragedy. It was Surreal. I was in Shock. There were hundreds of people calling you, not only from across the county, but from around the country. It was overwhelming. It showed how people cared. 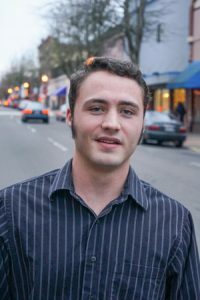 Elijah Dunnavant is a student from Umpqua Community College.